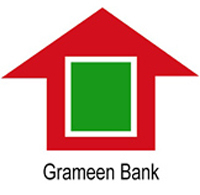 Uttar Pradesh ATS To Investigate The Hacking of Gramin Bank Website ! Uttar Pradesh Anti Terrorist Squad will investigate piracy Ballia-Etawah Gramin Bank site would have been committed by a Pakistani organization, a police official said today. The survey was delivered to the ATS unit Varanasi as it was a case of cyber crime and there is a suspicion on the involvement of hackers based in Pakistan, said district SP Ram Swaroop here. A message was posted to the website of the bank for a night of self-proclaimed Pakistan. "The bank's site has been hacked ... This is just a trailor ... I'll show you a perfect film," the website message-balls Etawah graminea Bank said, according to police.
. "We Luv break the tight security, therefore, the hackers were invited to the Indians ... my next bank target sites if you can not store Gud Luck -.. cyber barrier of Pakistan," the message said. anonymous caller informed the Director-General and banking graminea, Anil Prakash on the message on its website.